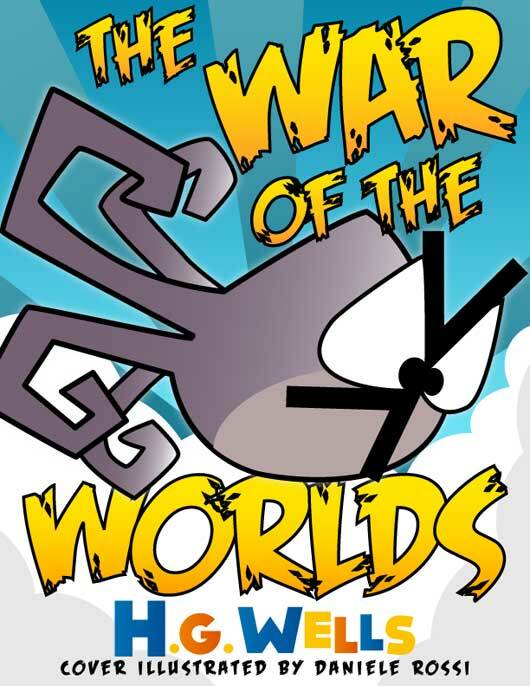 My latest free ebook of a classic piece of literature featuring my illustrated cover of a related reference to digital culture is The War of the Worlds by H.G. Wells (.epub, .mobi). Just in time for Hallowe’en! Angry Birds is the digital cultural reference for this release. In case you aren’t familiar with Wells’ classic, Martians resembling octopi invade Earth. The vision of Martians dropping from the sky made me think of the birds being sling shot into the pigs in the Angry Birds game. However, I initially worked on a totally different idea for this cover. Email spam. Well, it’s like an invasion. 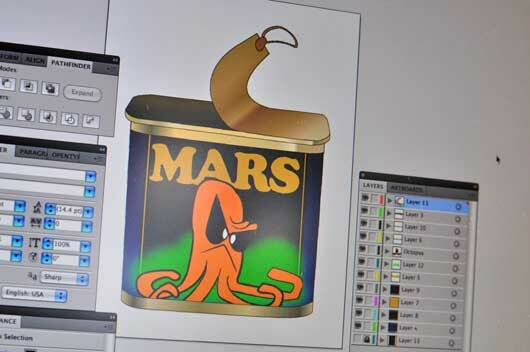 My concept had many cans of Spam (the food item) —with an octopus on the label— invading the Earth. Fortunately, I thought of and proceeded with the Angry Birds concept. I like it very much! Not sure was Wells would think, though! I had also originally planned a companion release. The script of the famous radio broadcast of The War of the Worlds by Orson Welles (no relation). 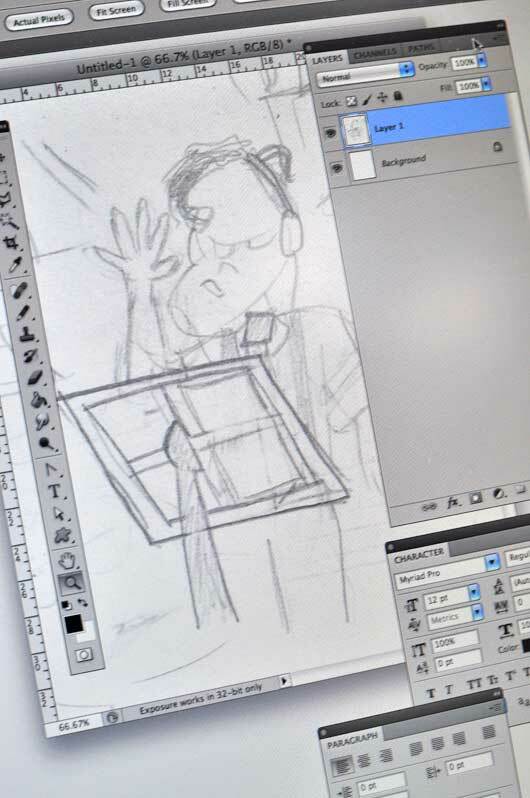 I had planned to continue with the Angry Birds theme but using a caricature of Orson. Alas, I had discovered that the script is in fact not in the public domain. Anyhoo, here’s the pencil sketch of my Orson Welles caricature. The War of the Worlds by H.G. Wells is available for free in both .epub and .mobi format.